Three Times Bad from San Francisco are breathing a fresh new life to American bluegrass. The band was formed by bandleader Jesus Angel Garcia and was inspired by his acclaimed transmedia novel, badbadbad (New Pulp Press), and a number of lyrics on American Sojourn come directly from stories in the book. Born from the words of his story and brought to life with a variety of musical influences such as hillbilly swing, outlaw country, Gypsy jazz, honkytonk, folk songs and much more. 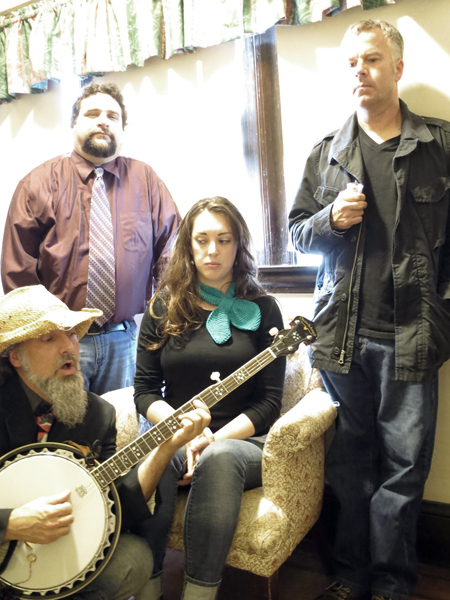 Three Times Bad have released their debut album, American Sojourn in May of this year and is available on iTunes here. There was a time when music was the glue that brought communities together. It was a time when country folk would gather after a long day of hard work and sit back swill some brew and sing songs and created a camaraderie amongst your neighbors. Three Times Bad bring back that nostalgic feel for a time where music held a common thread that cemented friendships and bonds were forged. It was a simple time where you could gather on a front porch and bring your own musical instrument to join in and jam, telling tales and stories through song. We are hoping to make it out and cover the San Francisco show and we will try and bring you an interview with these eclectic musicians. Make sure to visit their social media sites and stay up to date on their latest news and pick up American Sojuorn on iTunes here. I will leave you with their video for their song, No More, No Less which is off American Sojourn.